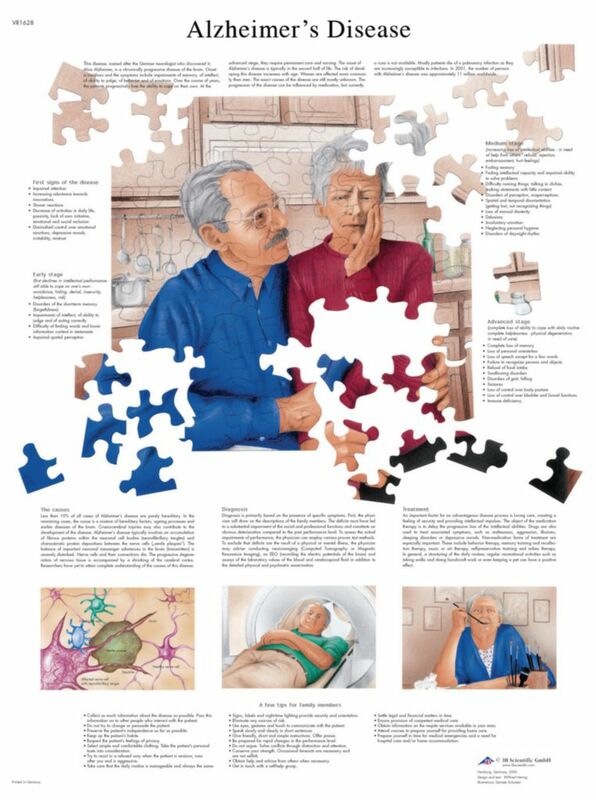 This colorful anatomical poster details Alzheimer's disease. The causes, diagnosis, and effects of the disease are discussed on this chart. The anatomy poster includes important information about the stages of Alzheimer's and available treatments.